Founded on Mousa bloodlines, our ponies are bred in the south mainland of the Shetland Isles and are mainly black and bay with some dun, chestnut, grey, piebald and skewbald ranging in height up to 41½”. 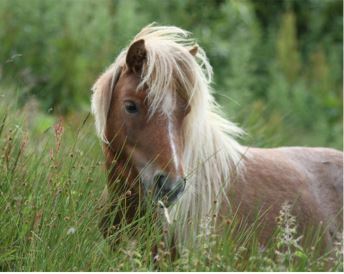 Our aim is to produce quality, native ponies from Shetland – ponies of good conformation and substance with correct, fluid movement – ponies that display presence whilst possessing an even temperament. Many of our stock has been sold on to ride and drive and have proven to be particularly suitable for this purpose.